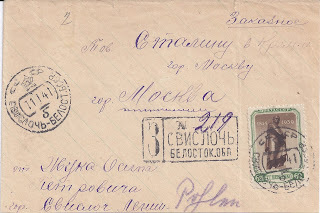 If you go through enough dealers' boxes, eventually you will find a letter to some Soviet leader - most often Stalin. 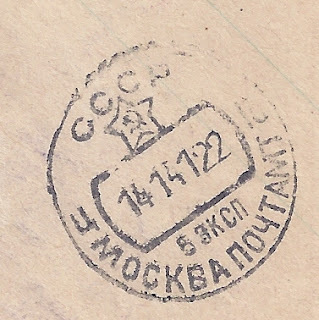 Lots of people wrote to Stalin, like this 1941 correspondent from Svisloch in the recently-occupied Belostok (Byelostok) area. Interestingly, the stamp used commemorates Ukraine's national poet, Shevchenko. I have also shown the receiver cancel, the only mark on the reverse. 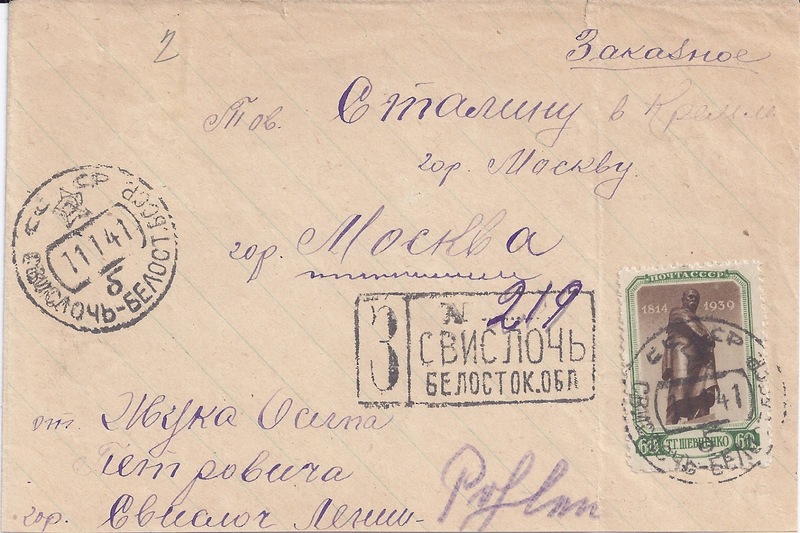 I speculate that at least some of the thousands of envelopes which came into the Kremlin and addressed personally to Stalin were sold officially. I don't know when or at what prices. Perhaps some reader has information? Stalin read some of the letters sent to him and sometimes interested himself (sympathetically) in the issues they raised. Some historians see the letters as a continuation of the tradition of petitioning the Tsar, seeking his personal intervention.